It took the FARC and the Colombian government more than 6 months to reach an agreement on the 1st of 6 items of the Peace Process Agenda: Agrarian Reform. It's still a preliminary agreement, because of the condition "that nothing is agreed until everything is agreed" and because the final agreement will be submitted to a referendum of the Colombian people. The full text of the Agrarian Reform agreement was not disclosed so few details could be renegotiated later in the peace talks if necessary. However, a joint communique was issued that discloses the headlines of the preliminary agreement. Surprisingly a few days later Santos revealed some more details on Radio Caracol. It's an important milestone. Agrarian reform was on the FARC's wishlist since their very existence. For the Colombian government it is an important issue as well, because land conflicts in Colombia are and have been the main source of violence. The communique looks very promising...on paper. It will be a real challenge to realize and enforce it. Santos, who faces re-election in May 2014, has said he wants to see a final peace deal ready by November 2013. The tight time schedule of the current peace proces is a risk for Santos and the FARC. 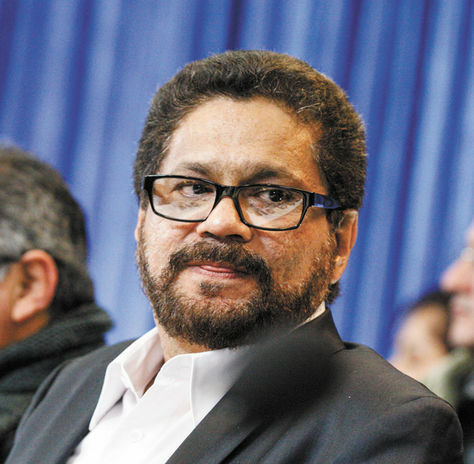 If the peace process fails, it will be difficult for Santos to be re-elected. FARC violence will probably increase again and therefore an Uribista-like presidential candidate might win the elections in 2014. That would mean that a new peace process will be postponed for at least 5 or 6 years. On the other hand if the peace process succeeds, Santos can be sure of his re-election and - more important - there will be a strong presidential guardian of the implementation of the peace agreement during the next presidential term. So it is obvious that both parties are quite willing to compromise and will try to succeed. Agrarian Reform, Land Reform or Both? "Illegally acquired farmland will be registered in a Lands for Peace Fund that subsequently will be distributed … to farmers without land or with insufficient land.” According to the president, “the vast majority of inhabitants of the countryside have nothing to fear as long as they don’t possess farmland that was acquired illegally, for example through the forced displacement of farmers and the legalization of these plots by corrupt government officials. To guarantee this, we are thinking of creating a judicial property protection system." Apparently the FARC delegation was not satisfied at all with the results of the Victims and Land Restitution Law and persisted on more social justice for the IDPs (Internally Displaced Persons) and poor campesinos. An interesting occurrence during the negotiations on agrarian reform that surprised the FARC delegation was President Santos' announcement of the seizure of 500,000 ha land and haciendas, which were once seized by the FARC itself by forcing the owners to sell or driving them off with death threats. Through the Law 1448 Ley de Víctimas y Restitución de Tierras 2011 (Victims and Land Restitution) that was enacted January 1st 2012, the government is already trying to return lands to IDPs, even if they never held formal title to it. After 17 months and according to the latest statement (June 3rd 2013) of the Ministry of Agriculture more than 400 families have recovered their land rights for more than 12 thousand hectares. Further more than 1,700 lawsuits and over 7,000 applications regarding land restitution are currently pending, totalling up to 300,000 ha. The total number of applicants is not disclosed. This all might seem like a lot, but it's only 5% of the stolen land til so far. At this rate it looks like a Sisyphean job and will take another 30 years to finish. Also According to official figures of the Ministry of Agriculture, only 22% of potential arable land is cultivated in Colombia. 6.5 million hectares of land was stolen, abandoned or forcibly changed hands in other ways between 1985 and 2008 as a result of the conflict. The FARC has said it wants to see 9.5 million hectares of land set aside (about 10 ha/IDP family) as grants for zonas de reservas campesinas (peasant reserve zones) that would enjoy some autonomy from national government control. The government rejected the idea of autonomous zones but said they could be the focus areas of rural development programmes. Most IDPs still live in urban slums and had to adapt their lifestyle. It's not very likely they want or even can return to their original farmland. Law 1448 led to increased violence against claimants and representatives of groups that have made claims on stolen land (already more than 60 people killed since 2008). Many death threats were received by claimants. Also it is not unlikely that victims who start farming on their former land that is given back to them, will experience some form of retaliation. Victims have to register in the Unified Victims’ Registry (Registro Único de Víctimas) within four years after the law entered into effect January 2012. Representatives and leaders of the two main parties carry out the negotiation process. Chilean Minister of Foreign Affairs Milenko Skoknic, as well as Venezuelan ambassador to the OAS, Roy Chaderton, are present at the request of the Colombian government and FARC. 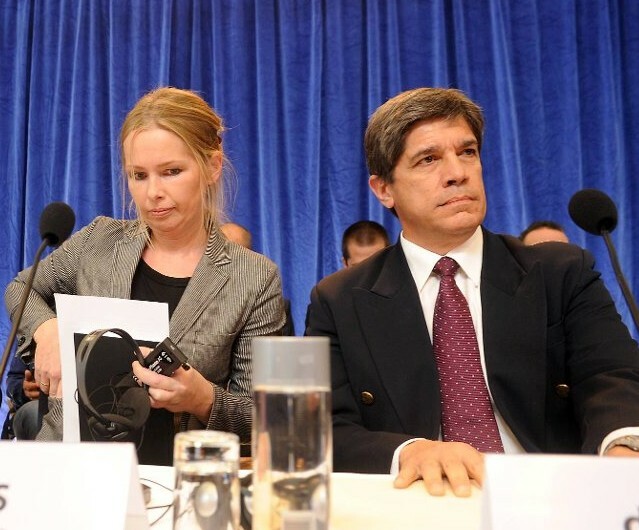 The official hosts to these negotiations, Norway and Cuba, play the role of facilitators and are represented by both Tone Allers, Director for Peace and Reconciliation in the Norwegian Foreign Ministry, and Carlos de Cossio, a Cuban diplomat. 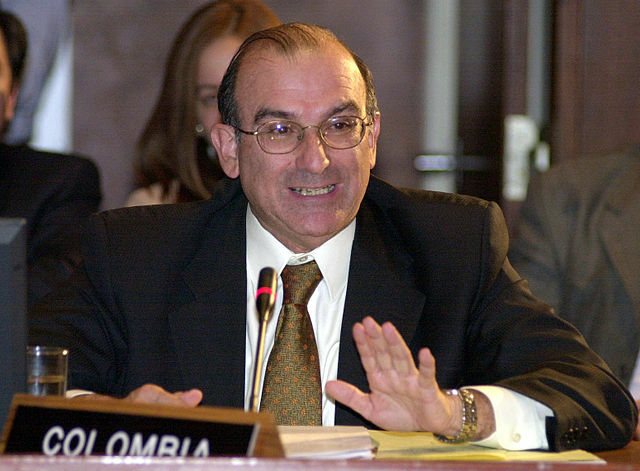 Márquez was a FARC negotiator during the 1999-2002 peace process that failed. A new government bill emphasises export agribusiness, with incentives for biofuels, and says that redistribution to peasant farmers will involve only fallow land. Legislators call for curbs on foreign investment in land. The government rejects this as the product of “unfortunate xenophobia” as Juan Camilo Restrepo, the agriculture minister, put it. However foreign investment in land is something different than foreign investment in Colombia's food security. Just leasing arable land to the Chinese is not the solution that Colombia needs. Santos says he will come up with schemes to link crop production to food security. That's a good thing in itself. Colombia's economy should focus more on agriculture besides commodities to become sustainable in the future. Venezuela is doing the opposite and is importing more than 50% of its food. What is required is a broad agreement on the balance between rural development and land redistribution, with the details to be implemented through the normal democratic process. Because of the complexity of the land conflict and the massive numbers of IDPs, it makes sense to opt for the fast and easy way out. The easy and fast way out is to just grant unused arable land to valid applicants of law 1448 and not wait for lawsuits, the judge's ruling and the actual restitution of the land. The land that is disputed is often sold and resold and meanwhile large investments could have been made for instance in planting African oil palms. The actual restitution, fine or compensation should be the outcome of a lawsuit between the government and the successive "owners" of the disputed land, not the victims. The victims should be granted new farmland with legal titles more quickly, because some of them are waiting for justice since 1985...To be effective these new crop lands should be preferably located in a single new agricultural zone. The government should be helping the victims to form cooperatives and train and coach these cooperatives in modern agriculture as well as provide all the needed infrastructure in this region.